The latest version of the national anthem protests sparked by Colin Kaepernick came from the Cleveland Browns. 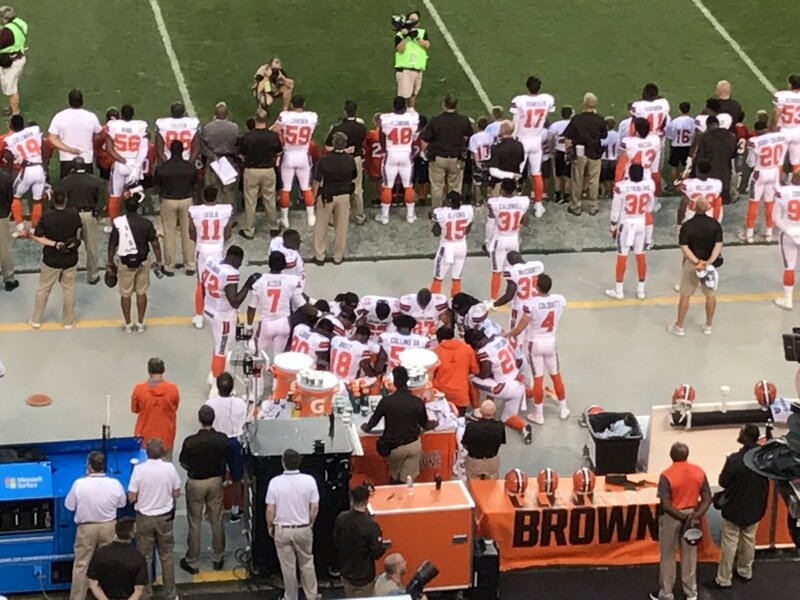 Before a preseason game against the New York Giants on Monday night, twelve Browns players knelt together and prayed during the national anthem. The prayers, Jabrill Peppers explained, were for people affected by "racial and social injustices" and for "the world in general." The Browns players' decision to pray during the national anthem is another example of the ways in which the Christian faith of some black football players has intersected with their engagement in the struggle for racial justice. When Christian Kirksey led the Browns in prayer, he joined Malcolm Jenkins and Brandon Marshall as African Americans who have been both outspoken about their Christian faith and on the frontlines of the national anthem protests. 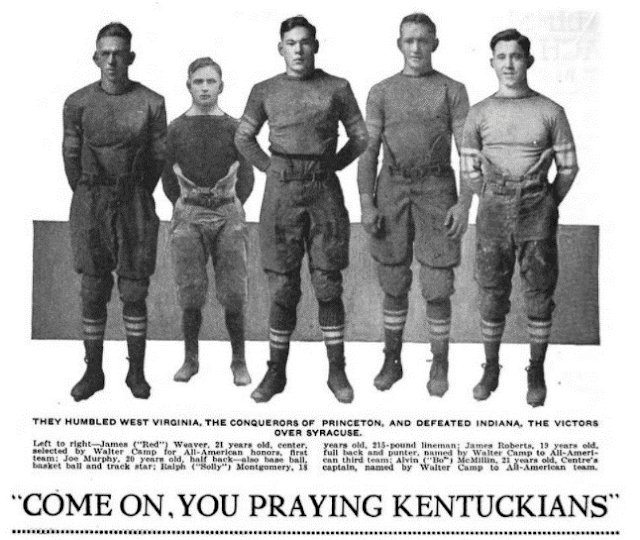 The prayers also reminded me of a football-related "letter to the editor" from 1925 that I recently came across. Back then college football was king; professional football was a sidenote for most American sports fans. And one of its problems, at least for English-speaking Protestants, was that many of its games were played on Sunday. Most Protestant leaders at the time believed that Sunday should be set aside as a day for religious devotion. To that end, they supported "blue laws" that restricted public Sunday activity, including commercialized sports. And since they saw Sabbath observance as a marker of sincere Protestant faith, they encouraged their congregants to use the day for worship and rest. 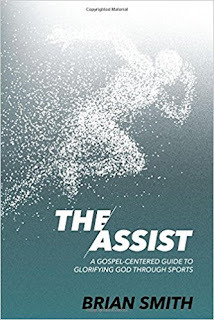 In 1920, for example, the General Assembly of the Presbyterian Church (USA) passed a resolution declaring that the Assembly "emphatically disapproves all secular uses of the Sabbath Day, including games and sports…. [and] vigorously condemns...the Sunday game propaganda of powerful baseball leagues." The baseball league "propaganda" existed to combat blue laws that barred some Major League Baseball teams from playing on Sunday. One useful propaganda method was to play the patriotism card. This was particularly true during the flag-waving fervor of World War I. As the war raged, baseball owners scheduled Sunday games to correspond with military parades and concerts, and they instituted the practice of playing "The Star-Spangled Banner" during contests. Appealing to nationalism helped their cause, as bans against Sunday baseball were overturned in cities like Washington, D.C., and New York. 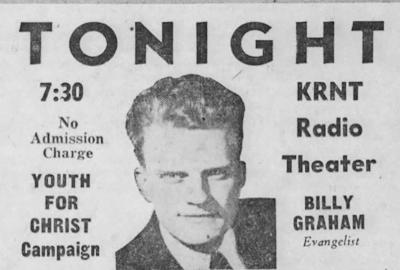 Despite the wartime setbacks, Protestant leaders did not give up on their Sabbatarian convictions. Throughout the 1920s they continued to urge congregants to observe the Sabbath, and many also sought to maintain blue laws and prohibit commercialized Sunday sports. They held the fort for awhile in northeastern cities like Boston (until 1929) and Philadelphia and Pittsburgh (until 1934). And while professional baseball was their prime area of sports-based concern, professional football, too, came in for censure for its desecration of the Sabbath, particularly as it began to grow in popularity during the decade. I was one of those 'Sunday football spectators'...While enjoying the game I also witnessed the lowering of the colors at sunset. This happened while both teams were playing their hardest, and it was a most inspiring sight to see the members of both teams, at the sound of the bugle, drop their headguards, forgetting for the moment they were opponents, and stand together in silence with their eyes in the direction of the flag. The thousand or more spectators also stood with heads bared and for a few moments not a sound could be heard. It seemed as though a spirit of reverence prevailed. Many of the male spectators indicated by their actions during this solemn moment that they were veterans of the World War. If some of the local ministers who are opposing Sunday football could have witnessed such a scene, they could not be but convinced that those who enjoy Sunday football are Christians as well as loyal Americans. I say Christians because any man that has such love for his flag must be a Christian. For the unnamed man from Delaware, reverence for the flag could justify--even sanctify--the violation of a standard Protestant behavioral expectation (an expectation, it should be noted, that remained in place for many conservative Protestants until the 1960s). What about today? For those who claim that kneeling or sitting during the national anthem violates one's sacred duty to respect the flag and the troops, does prayer justify or change how they view the protests? Thankfully we can find out through the widely accepted journalistic practice of quoting random people on twitter. 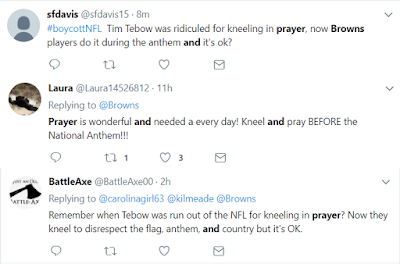 As for African American Christians, I suspect most do not need to see players praying in order to feel that the national anthem protests are justified. 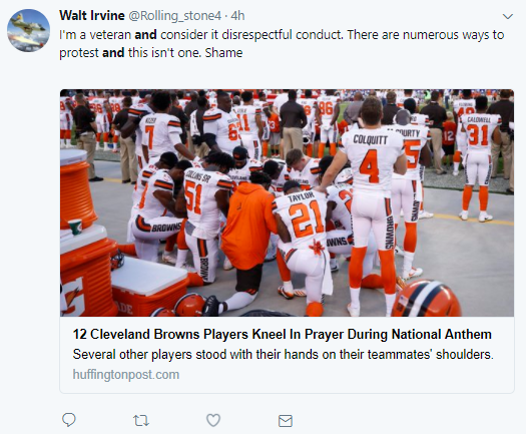 To be sure, not all would kneel during the national anthem if they had the chance. But African American Christian communities have a long history of viewing anti-racism as a mark of true Christianity. 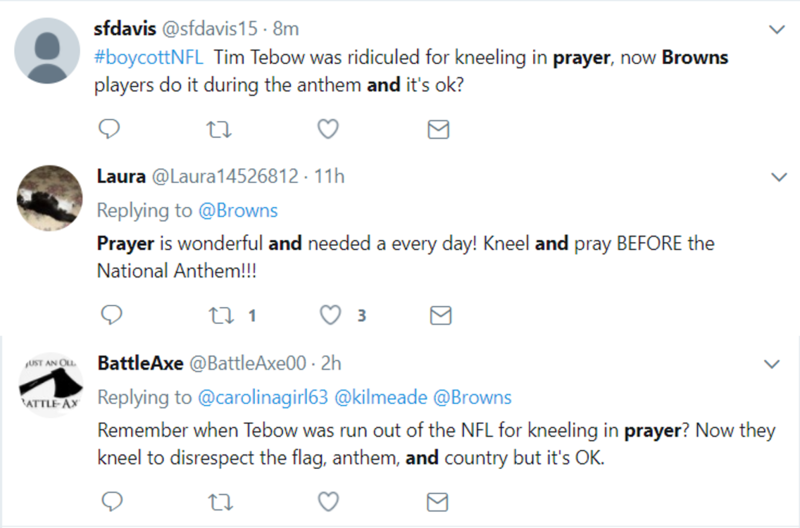 And if that's the case, to use the national anthem to peacefully bring attention to the sin of racism is its own prayer, whether one includes words at the time or not. Hmmm . . . what exactly does the Kap and the gang want from this country? What exactly is the country doing to diss them? I really want to know. We have passed just about any conceivable law you could imagine, given minorities preference in every aspect of society, spent about $5,000,000,000,000 in the past 40 years in social programs. What opportunity is being denied them? If they want every single world citizen to worship at their feet, well that is never going to happen. Being a Cracker, I accept there are individuals in ethnic minority communities who hate my guts and would kill me on sight if they thought they could get away with it, just for the color of my skin. That goes with being an imperfect human, luckily the vast majority of those communities treat me with respect and brotherly love. PLEASE tell us what could possibly cause them to stand and treat the symbol of the greatest country in the history of humankind with a modicum of respect.